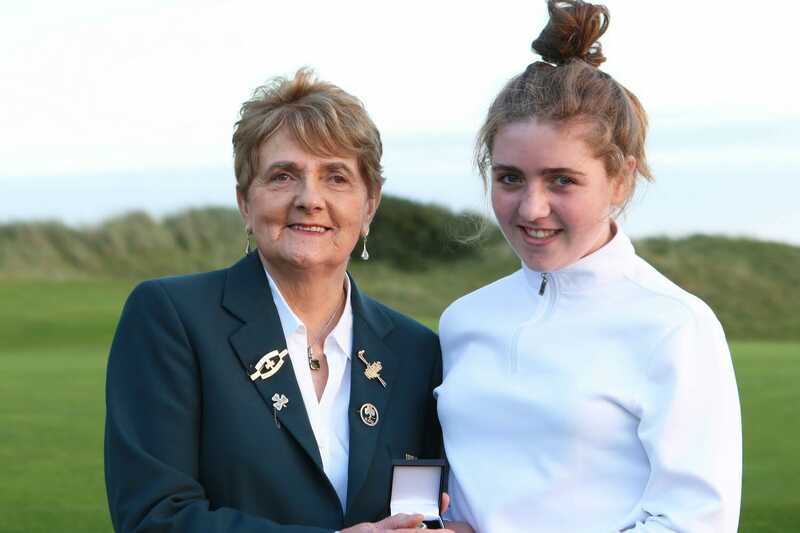 What a day it was for Charlie Maxwell (Royal Curragh) whowon the ILGU Gold Medal at Seapoint. Fifty-five qualifiers from across the country competed today having won their Club Junior Medal for players with the lowest aggregate of 3 nett score differentials (relative to CSS), one in each month June, July and August 2017. Charlie, who was involved in the ILGU Regional programme with Johnny Young this year has fallen significantly in handicap and fired 41 points at the Termonfeckin course. The Silver Medals went to Aine Donegan (Woodstock) and Olivia McCrystal (Holywood) while the Bronze Medal was won by Aoife Quinn (Dun Laoghaire).